And, not the fluffy, cold, wet stuff. In fact, I more or less hate that kind of snow, despite being raised a Vermonter. Or maybe, I guess, because I was raised a Vermonter. But, I digress. “Snow” in our household is an 8-inch tall, red elf with bendable legs and hat (he was named by Big Brother last year). He arrives the morning after Thanksgiving and he sticks around until Christmas Eve. His sole job, as Santa’s helper, is to WATCH each day and make sure the Schieffer boys are behaving themselves. Each night, after they go to bed, he flies to the North Pole and gives Santa his report of the day. And, each morning, they wake to find that he has relocated himself to a new perch in our house to commence the watch again. Does it work? Damn straight. My boys are perfect angels, most of the time, in Snow’s company. And, if they forget he’s there for a moment and lapse into pushing, shoving, shouting, whining, shrieking, complaining, pouting and other such regular behaviors, its pretty nice to simply get their attention, put a finger to my lips and say “Shhhhh….” and point to the little Man on the mantle. 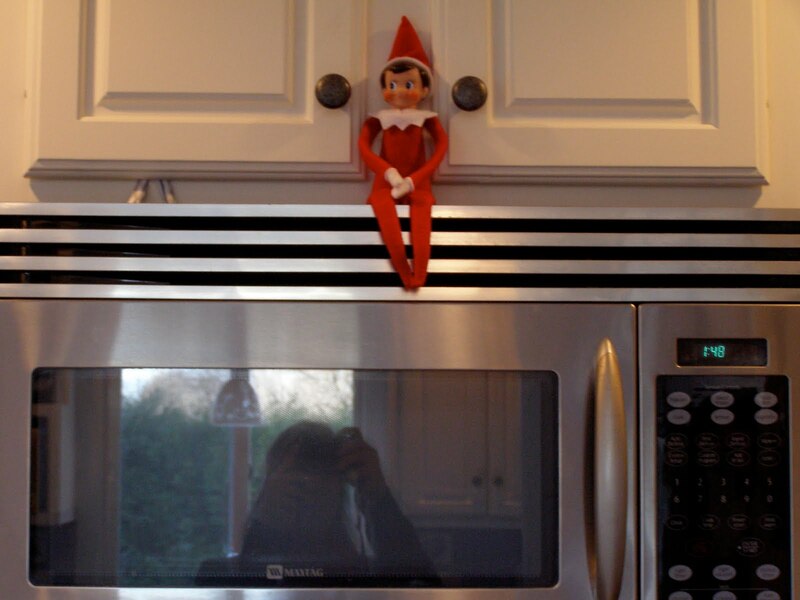 This morning (a morning after what is becoming a nightly “eat your dinner” stand-off with Big Brother) I came into the kitchen to discover him having a little conversation mano-a-mano with the elf. Ahhhh. Let it Snow, let it Snow, let it Snow.